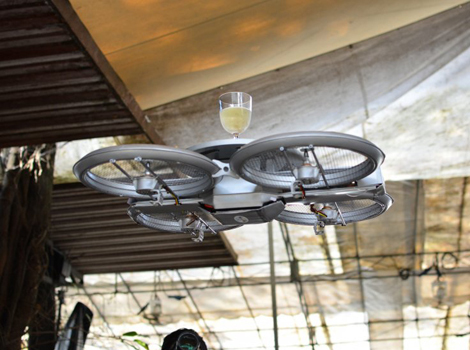 Are we headed for a brave new world of flashy gadgets and drone delivery systems? We have a few predictions. The next big trend to infiltrate the restaurant industry? All signs point to technological makeovers. A new report says annual revenue from mobile apps is set to reach $99 billion by 2019, and dining will no doubt be one of the leading growth sectors. In many current cases, restaurant technology pops up in ways that seem frivolous, like establishments demanding job applications be submitted via Snapchat, or social network apps intended to facilitate “meaningful” relationships between customers. But in other forms, it’s proven to be a game-changer for operations—and ultimately the bottom line. Despite their impersonal awkwardness, tablets can improve the customer experience, reducing order errors and improving efficiency overall. Tableside tablet company Ziosk helped Chili’s install more than 77,000 devices at locations throughout the United States. A rival company, E La Carte, helped Applebee’s install 100,000 this past year. These tables serve as menu, waiter, entertainment, point-of-sale, and survey platforms all at once. They can also help deliver promotions and gather intel on the dining experience. It’s easy to see why companies love them, even if diners sometimes wish they could just talk to a real person. With an increasing demand of consumer-facing technology, restaurants are exploring new ways to shape the dining experience while appealing to savvy smartphone users. From Instagram menus to smart-watch delivery trackers, here’s a look at the next wave of restaurant-technology concepts—and our predictions for how each will fare in the marketplace. Where you can find it now: Although the trend began at Cómodo in New York, the phenomenon has since caught on at restaurants across the country, and even the world. A few examples include Southport Grocery in Chicago, Vapiano restaurants across Australia, The Four Seasons in Las Vegas, Poppadoms in Kelowna, British Columbia, and Uno Chicago Grill in the Honduras. The futuristic innovation: It’s an undeniable fact that people love to Instagram their food. 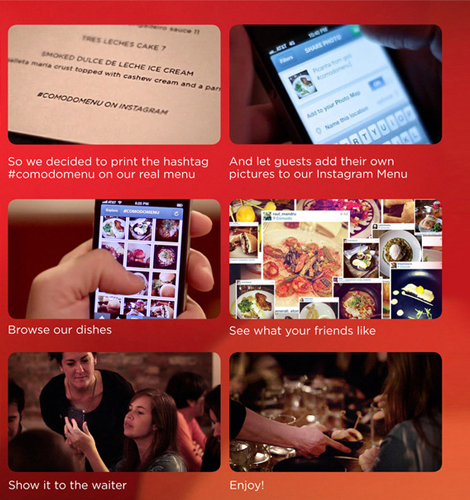 Latin restaurant Cómodo tried to differentiate itself from the other 18,000 restaurants in Manhattan by introducing the #comodomenu hashtag, and using those photos to create an “Instagram menu” where diners could browse the hashtag to see all of the restaurant’s options, as well as add their own photos. The underlying principle being: If you’re unsure of what to order, you can look through pictures and see what other friends/customers have already ordered. 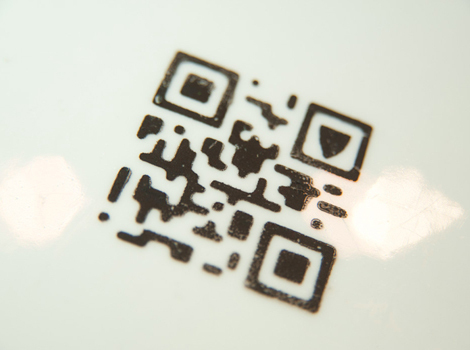 The futuristic innovation: In addition to using scannable quick-response codes on business cards and t-shirts, Taranta chef Jose Duarte has been known to plate dishes with squid ink QR codes so that diners can use their smartphones to quickly and easily access ingredient information, recipes, or related videos. 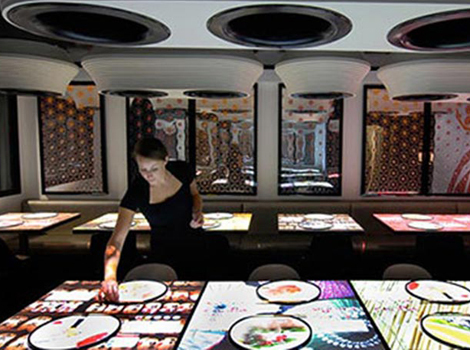 The futuristic innovation: At Inamo, an Asian-fusion restaurant in London’s Soho district, every diner sits at a virtual table that allows you to order your food and beverage, watch the chef prepare your meal via webcam, and even request a taxi home after you’re done with dinner. Where you can find it: Pizza Hut has been testing this technology in its 300 locations across the UK. If the pilot test goes well, a potential expansion to the States could be a reality. 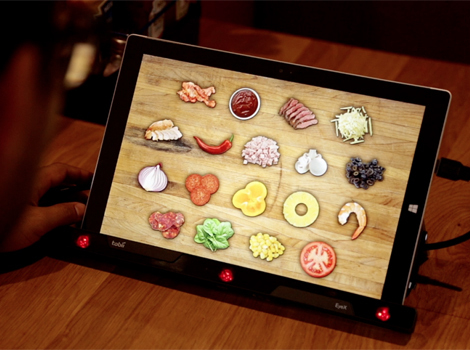 The futuristic innovation: Pizza Hut wants to read your mind in a matter of seconds with its new “subconscious menu,” a special tablet that shows diners pizza topping options and tracks eye movements to determine what you’re craving based on which of the toppings you’ve looked at the longest. 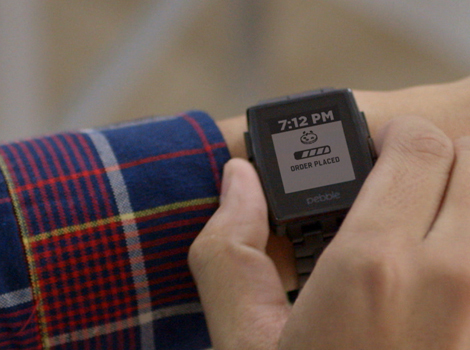 Where you can find it: Get the delivery tracker, which is exclusive to Domino’s, on your smartwatch device by visiting the Pebble App store. The futuristic innovation: The Domino’s Tracker—a technology that allows you to follow your order, from prepping and baking, to quality check and delivery—isn’t groundbreaking. But thanks to a new partnership with smartwatch Pebble, now you can follow it all on your wrist, checking your pizza like you would the time. Where you can find it: McDonald’s is currently testing this concept, which it calls the “Create Your Taste” kiosk. The chain plans to roll it out at as many as 2,000 units nationwide this year. 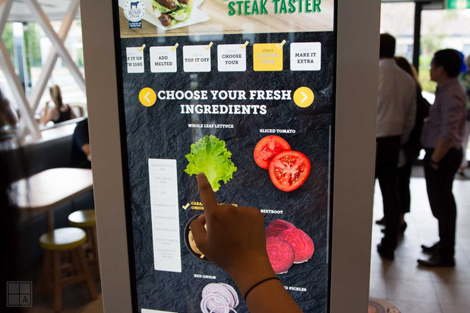 The futuristic innovation: At certain fast food burger joints, you can now place your order on flatscreen at a self-serve kiosk, choosing their own bun or roll, cheese, sauces, and toppings. Then you’ll take a pager and wait for your food to arrive six to eight minutes later.